Back when Mamma taught grade one, she read a diary entry from a seven year old about travelling on a mystical railway ride just like Harry Potter. The journal entry was filled with excitement and joy - He had been taken on the miniature railway! 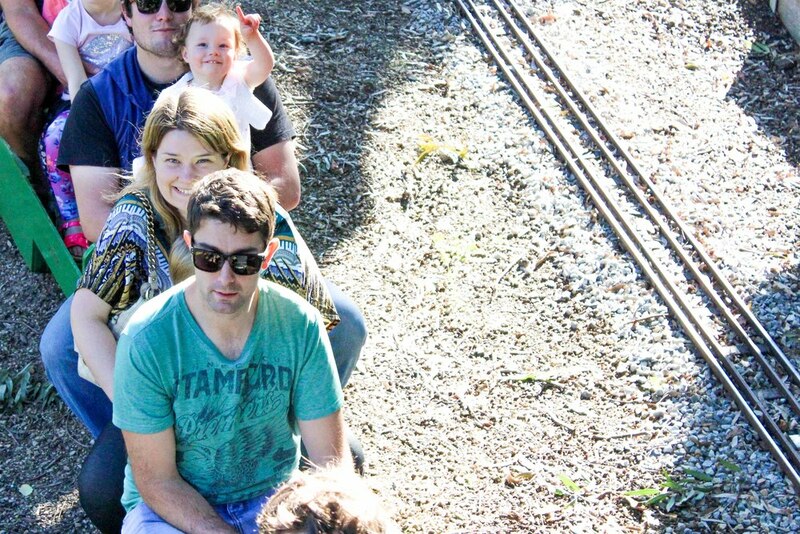 The little trains rule the town every FOURTH Sunday at the Mooroolbark and District Miniature Railway. This suburban chugga-chugga mecca is a hit with young families and at only $2.50 per ride - it is a steal. The trains do a couple of laps on the modest tracks and include a tunnel pass, a bridge crossing and you get to wave to Mamma as she watches from the foot bridge. There is heaps of room to spread out in the middle of the railway zone, perfect to bring along a picnic lunch. You could easily spend a whole afternoon watching the miniature trains travelling round and round. Mamma's special mention: There is a simple playground next door if you want a break between rides OR in the Summer months, you could head next door to the Kilsyth Pool for a dip under the "dome". This weekend is FAMILY FUN DAY! From 11am - 4pm, Bendigo Bank is bringing extra fun activities down at the railway, including live broadcast from Radio Eastern.